ISOLTECH DESIGNS AND MAKES FIXED AND MOBILE MACHINES AND PLANT FOR THE PRODUCTION OF CELLULAR CONCRETE. The IBS-15 plant stems from the need to provide the market with a product designed specifically for the production of single-layer and double-layer sub-floors. Designed to produce cellular cement with or without sand with density from 400 kg / cubic meter to 1200 kg / cubic meter. The small size and its maneuverability make it a valuable ally for installers and contractors in the continuous search for production quality, speed of execution and optimization of installation costs. USE: mobile plant, manual for the continuous production of single-layer or two-layer substrates. 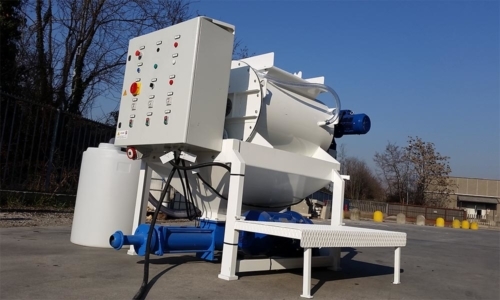 IBS-08 is a medium-sized manual-wound (but automatable) plant designed to produce cellular concrete with medium-density sand and which is widely used in the production of cellular concrete blocks. Ideal plant for production between 7 and 10 cubic meters / hour, which allows, however, to scale, in a flexible way, the solution as the demand for blocks increases. USE: fixed plant, which can be automated for the production of cellular concrete blocks. 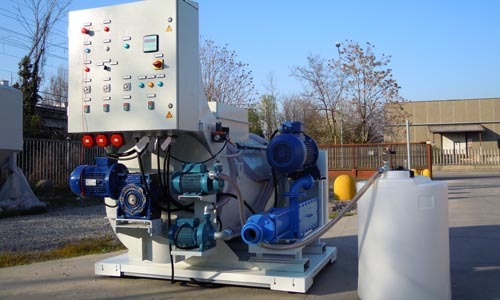 IBP-08 is the ideal machine to produce low density cellular cement without sand. It produces between 10 and 12 cubic meters / hour. 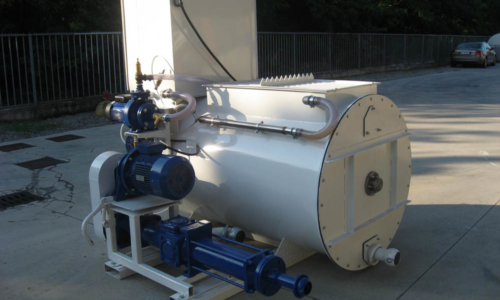 Equipped with horizontal shaft mixer and helical delivery pump. It has a capacity of 950 liters. Includes foam generator, timed water pump, 180-liter tank located above the mixer, electric panel with remote control and air compressor (sold separately). USE: system suitable for transport and use on site for lightened substrates. WE ARE SUPPLIERS OF TECHNOLOGY, MACHINERY, PLANT AND FOAMING AGENTS FOR THE PRODUCTION OF CELLULAR CONCRETE.